Product #17992 | SKU BEB108D | 0.0 (no ratings yet) Thanks for your rating! 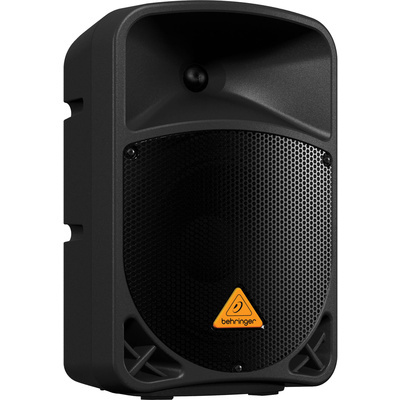 The Behringer B108D is an 8" 300W 2-way powered PA speaker that is designed for live sound applications and can be used as a portable PA system or monitor wedge. The speaker is lightweight thanks to its Class-D amplifier and it comes "wireless-ready" for use with the Behringer ULM digital wireless microphones (not included). The B108D features an 8" long-excursion low-frequency driver and a 1.35" aluminum-diaphragm compression driver mounted on a wide dispersion, large-format exponential horn. This combination allows for strong bass and clear high-frequency reproduction.